Authentic RMS Titanic Shipwreck Coal and Titanic Coal Jewelry Necklace Pendant and Gifts are among the most sought-after legacies and collectibles in the annals of sunken shipwreck history! 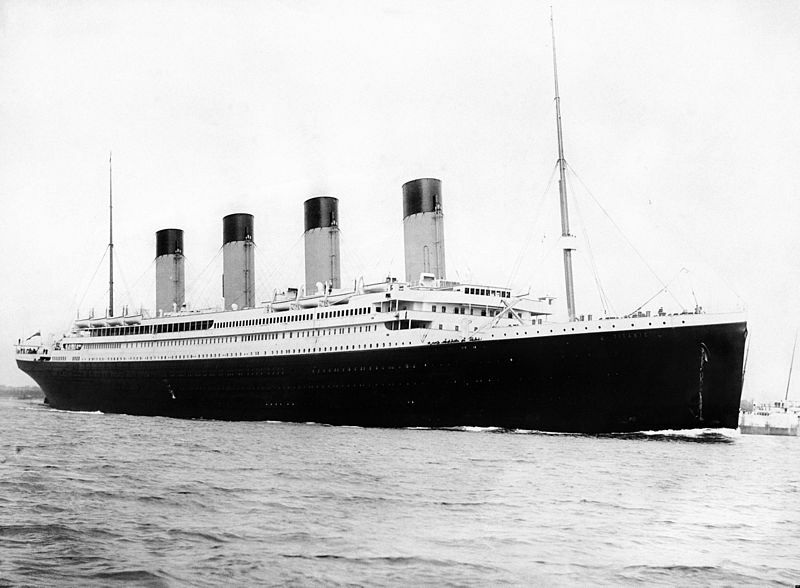 The RMS Titanic was the largest passenger steamship in the world when she set off on her maiden voyage from England to New York City on April 10, 1912, with 2,224 people aboard. She was 900 feet long and stood 25 stories high. She had sixteen watertight compartments and was considered to be “unsinkable.” Four days later, while crossing the Atlantic Ocean at 23:40 on April 14, 1912, she struck an iceberg and sank. By 2:20 the following morning she vanished from sight beneath the waves, resulting in the deaths of 1,514 people. Only 710 people survived - less than a third. It was the deadliest peacetime maritime disaster in known history. The high casualty rate was because there were not enough lifeboats. Due to the protocol to save women and children a disproportionate amount of the people lost were men. The RMS Titanic was designed by some of the best engineers of that time but it is obvious that she had material failures and design flaws which caused her to sink. 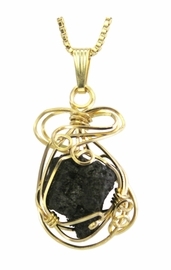 This authentic RMS Titanic shipwreck coal is hand wire wrapped professionally with sterling silver wire or 14K gold in an open cosmic design and is fine jewelry. This authentic shipwreck coal is from the actual wreck of RMS Titanic -- recovered from under 12,000 feet of icy North Atlantic water and the only artifact memorabilia allowed to be sold from its legal salvage recovery. 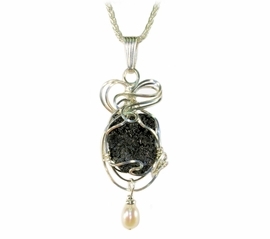 Each piece has been stabilized with crystal-clear, high-grade jeweler's epoxy, which strengthens the sample and keeps the coal from smudging fine clothing. Certificate of Authenticity included! Fantastic jewelry with a story heirloom!